With the launch only days away, Giants Software has released its final trailer, showcasing all the action from the ‘new generation’ Farming Simulator 15. Unlike previous ones, the launch trailer does not deal with a specific part of the game. The five trailers running up to the launch covered Garage, Bale Handling, Woodcutting, Harvesting Crops and Growing Crops. Watch them all after the launch trailer below. 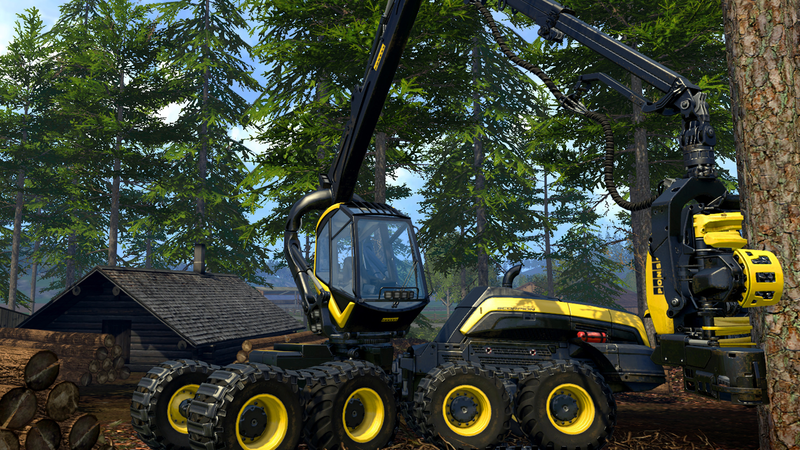 Farming Simulator 15 lets you manage your own farm, with the aim of building it up to invest in bigger and better machinery. This time around, you can play the sim with friends in multiplayer mode so that you can work together to run your farm even more efficiently (or not). Farming Simulator is out on PC on October 30th, with console releases following in early 2015.